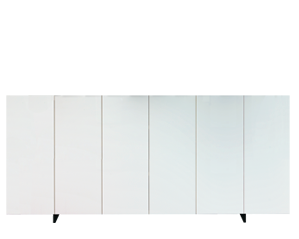 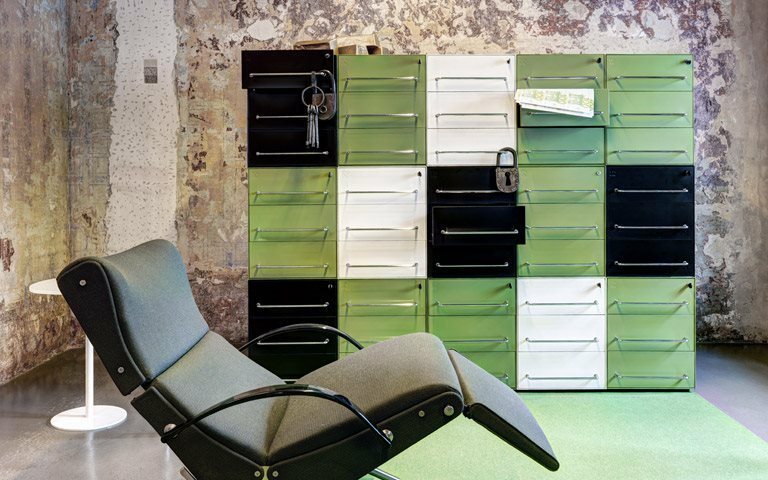 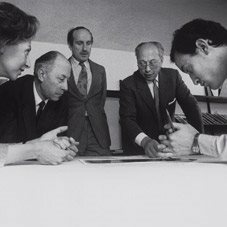 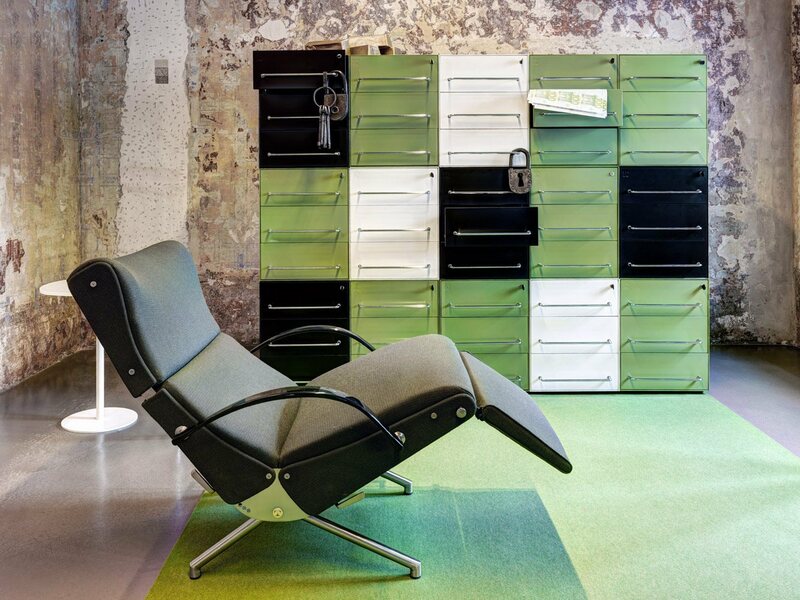 The Basic modular storage system was created by the “Centro Progetti Tecno” to serve as a natural extension and complement to office systems like Tecno’s own Nomos and Graphis. 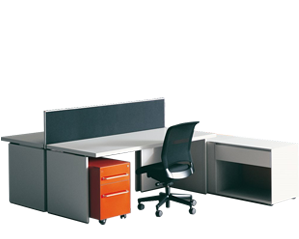 The units in the Basic range act as links between work system stations, adding aesthetic interest and variation and improving the functionality of the office environment.The Basic modular storage system is made in box section sheet metal and finished in epoxy powder paint. 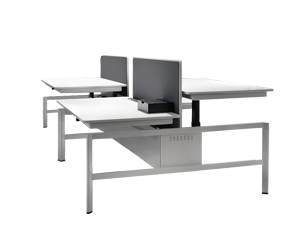 The system comprises drawer units, supports and cabinets. 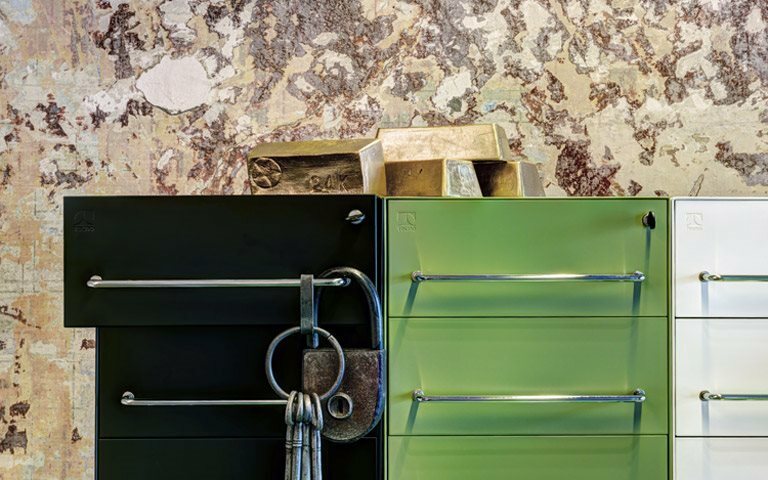 Elegant design and sober lines make these cabinets and drawers extremely versatile and permit them to be used in a wide range of compositions. 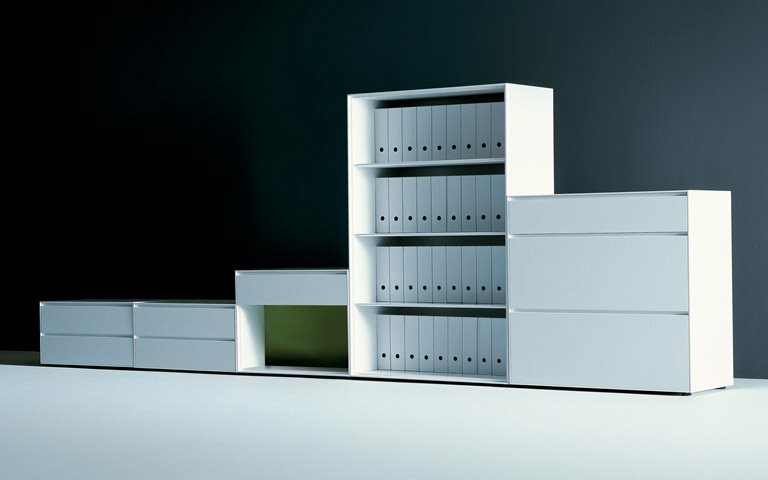 The drawer units come in four variants: three drawers on wheels or feet and one drawer and one drop file unit, again on wheels or feet. 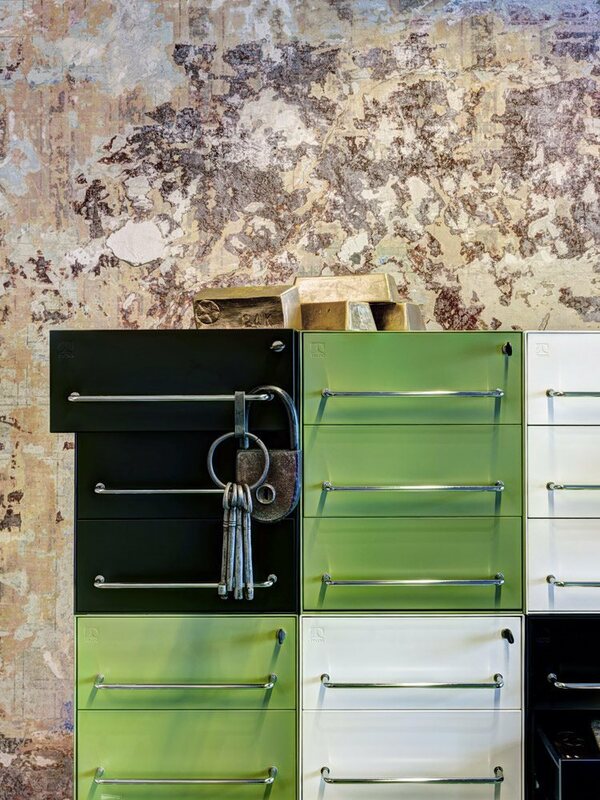 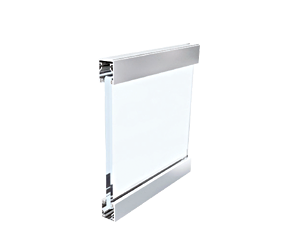 All versions can be fitted with handles or with a plain front without handles. 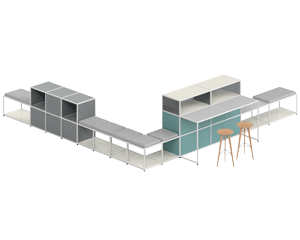 The modular units have a fixed base dimension of 80x45 cm but vary in height between 72 cm and 212.5 cm, making a vast range of storage solutions possible, from formal and stylish drawer units to practical, large capacity cupboards. 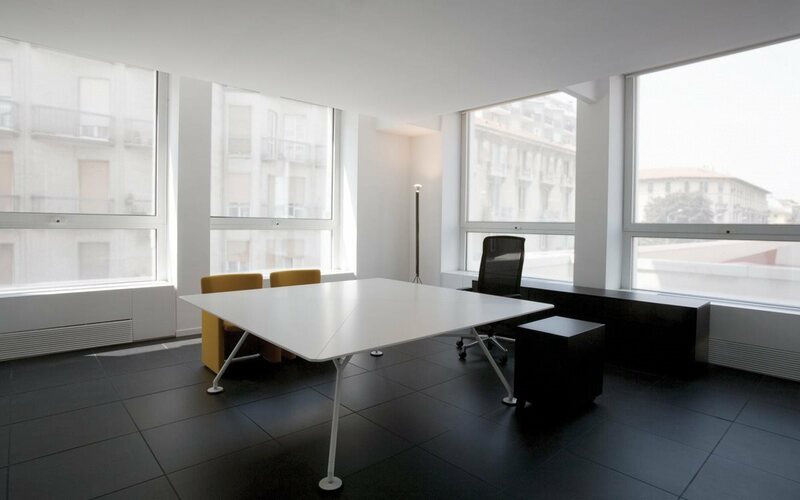 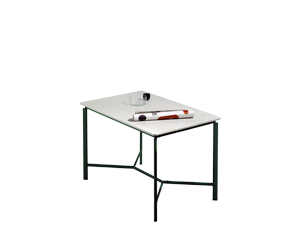 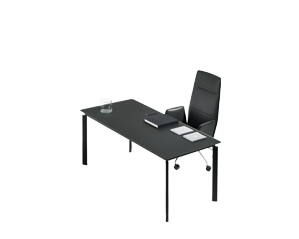 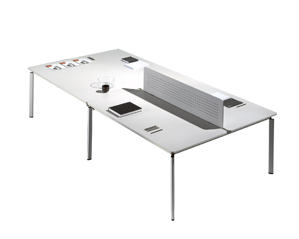 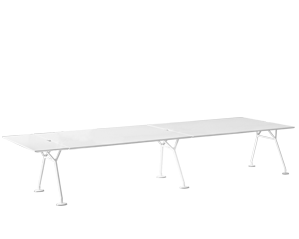 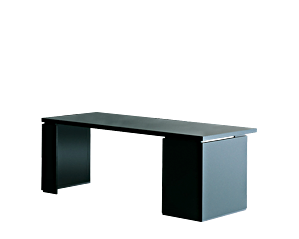 The range also includes structural elements that can be used to support work tops. 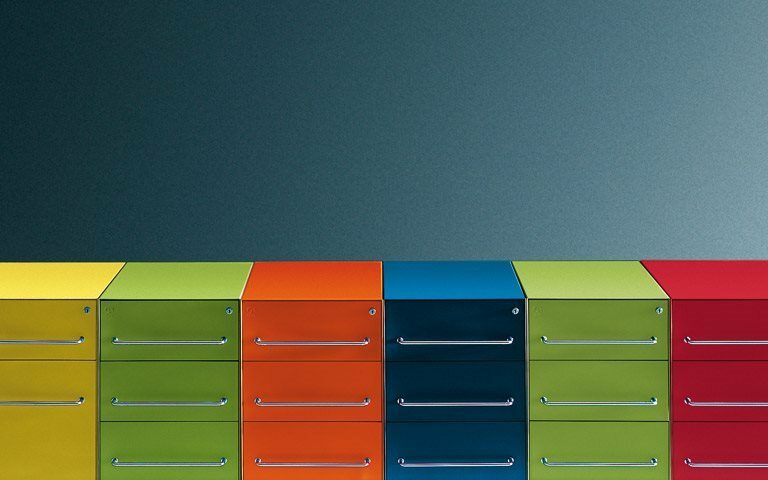 Colour is another important feature of the Basic range, and contributes to the creation of coordinated office images in drawer units. 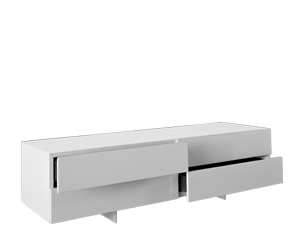 Drawer units are painted in matt white, light grey, dark grey, ochre, orange or kiwi green while the supports, cabinets and shelves are finished in matt white, light grey or dark grey. 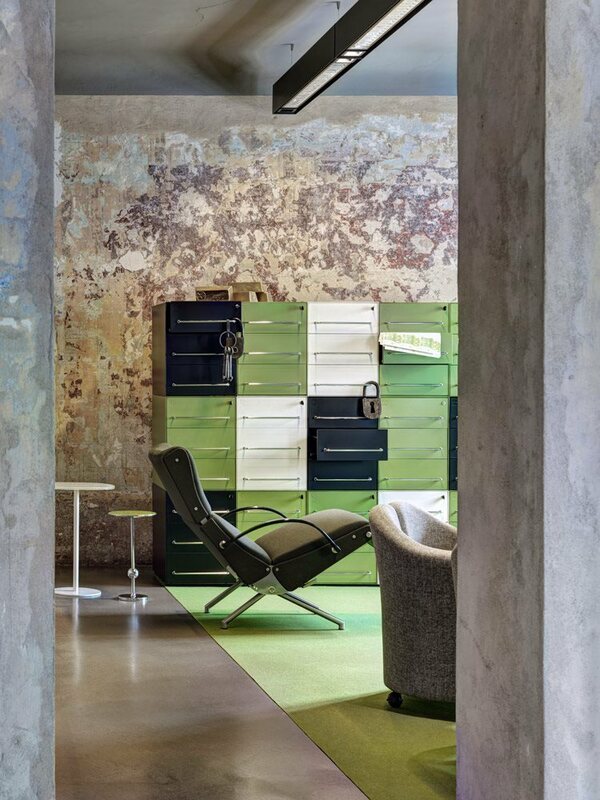 The La Rinascente shopping centre chose Piero Lissoni and Tecno to furnish its new premises on Milan's Via Washington in 2006. 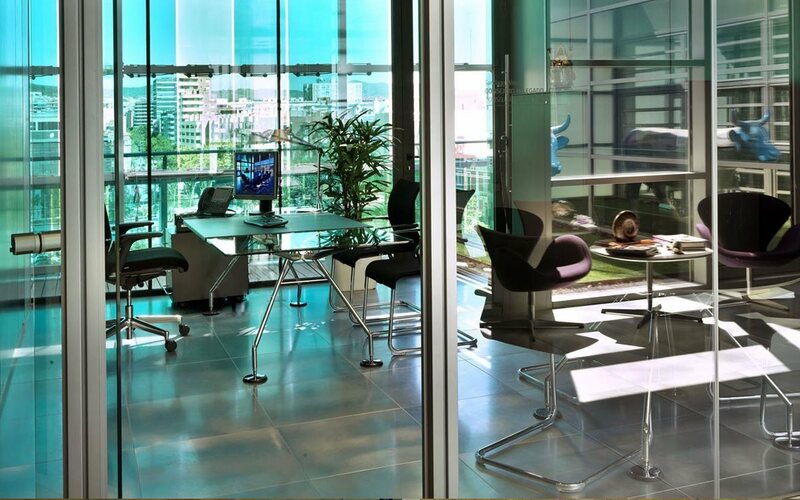 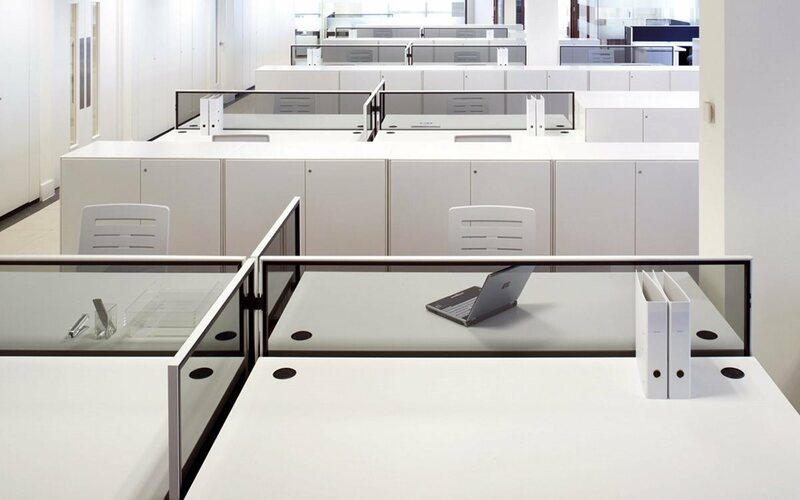 To create multiple individual workstations which had to be completely separate from each other, Tecno provided the Rome Chamber of Commerce with a system of dividing walls from its Partition range, to provide multiple small spaces in sequence. 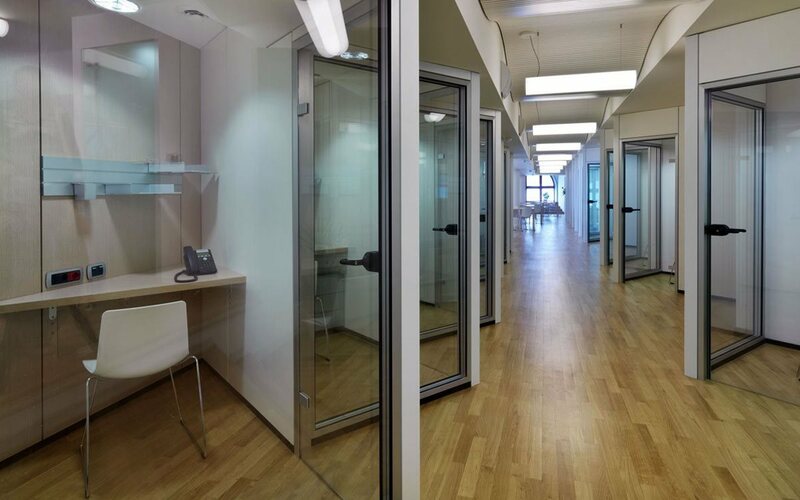 For the GAES hearing centres in Barcelona, designed by architect Antonio Moleón from architectural firm G56, Tecno was asked to furnish three floors of the building spread over 450 m². 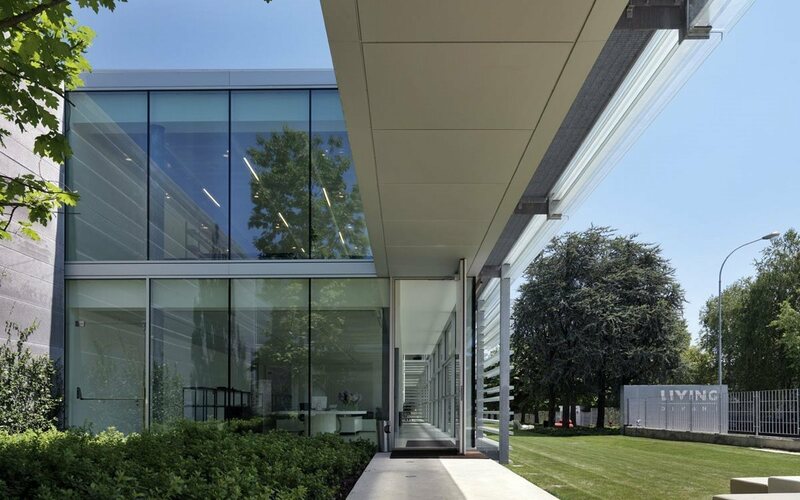 To furnish the new premises of sofa and upholstery company Living Divani in Anzano del Parco, Como, based on the design of architectural firm Lissoni Associati, Tecno chose clean shapes, with the aim of creating a unique, minimalist style, characterised by simple, delicate forms. 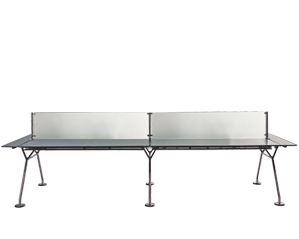 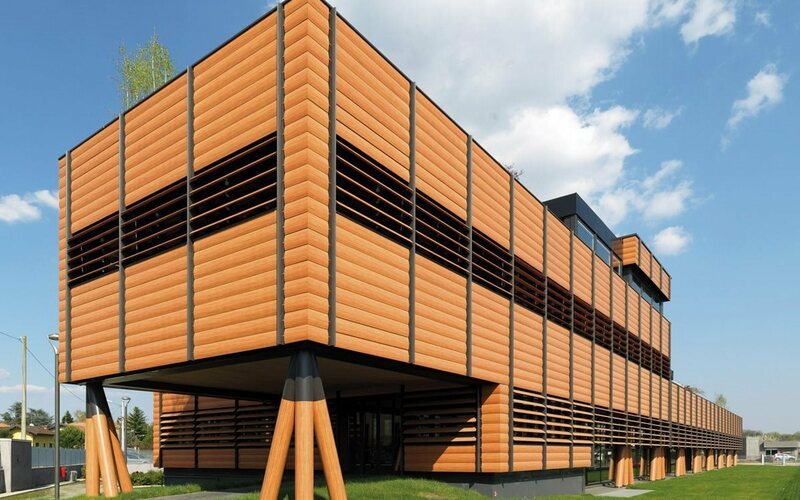 Bompan SRL chose Tecno to furnish its new Tradate branch (Varese), based on a design by architect Mario Margheritis, and opting for the highest quality finishes.